ATHENS – 350 young Greeks from 20 countries joined forces on Sunday 1st of April in Athens to send a strong message to the world: it’s time for the Parthenon Marbles to return home. Part of the Global Hellenic Youth Forum “Hellenic Youth in Action” that was held in Athens on the weekend of 31st March and 1st of April, the campaign #bringthemarbleshome culminated in a march from the Zappeion Megaron to the Pnyx, the eternal landmark of Athenian democracy. 350 Young Greeks from every corner of the planet, stewards of proud history. Our commitment to continue fighting for the return of the Parthenon Marbles to the place where they truly belong and from where they were illegally removed. After the opening of the New Acropolis Museum, there is no longer any excuse for the illegal possession of the Marbles by the British Museum. To put an end to the illegal retention of a part of the structure of a unique and emblematic World Heritage Monument. We call on everyone to support our just cause in bringing the marbles back home! The Resolution of the Forum was signed by the 9 Global Hellenic Unions which took part in the campaign #bringthemarbleshome. After the closing ceremony, the participants of the Forum headed to the Amphitheatre of the Acropolis Museum, where they attended a lecture by Professor Dimitrios Pandermalis, President of the Museum’s Board of Directors. The campaign #bringthemarbleshome was part of the Global Hellenic Youth Forum “Hellenic Youth in Action” activities. The Forum was organized by 9 Global Hellenic Unions in the framework of the ‘Olympia 2016-2018’ events program, run by the Zappeion Megaron’s Olympia and Bequests Committee. The Forum gave the Greek Youth diaspora the unique opportunity to strengthen their relations with the homeland, as well as to learn how to cooperate in order to achieve common goals and objectives. When Greece was still ruled by the Ottoman Empire in 19th century, Lord Elgin removed about half of the surviving sculptures of the Parthenon, as well as sculptures from the Propylaea and Erechtheum and transported them by sea to Britain. After gaining its independence from the Ottoman Empire, Greece took various courses of action to reclaim its monuments. The British Museum has always made clear that it does not agree with the removal of all of the Parthenon Marbles to Athens. 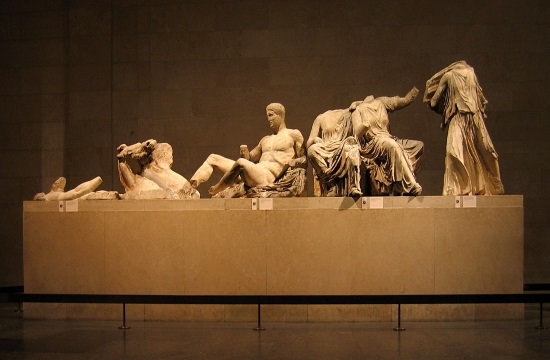 To this day, Greece continues to urge the return of the Parthenon Marbles to Greece for their unification.